As the market leader in enterprise application software, SAP is at the center of today’s business and technology revolution. 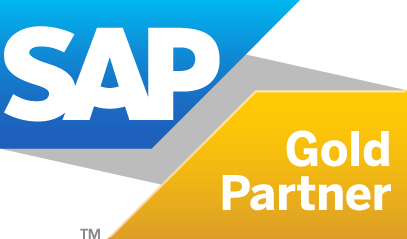 SAP has more than 335,000 customers in over 200 countries running SAP applications – from distinct solutions addressing the needs of small businesses and midsize companies (nearly 70% of SAP customers are small and midsize enterprises) to suite offerings for global organizations (79% of the Global Fortune 500 companies run SAP software). SAP is for every company, every person, and every type of data. SAP manages your business operations, from finance, sales and supply chain to customer relations. SAP eBA optimizes those same business operations by automating document-intensive processes for invoice management, purchase orders, sales order processing and master data management. SAP helps you streamline your processes, giving you the ability to use live data to predict customer trends – live and in the moment. Find further information on SAP products here. Bimser was established to share eBA with the wider world. We combine the agility, innovation and speed of a start-up with the infrastructure, capabilities, resources and reference customers of an established 18 year old enterprise software company - Bimser Solutions. Bimser International's mission is to optimize business processes and to give back control over corporate data to growing organizations worldwide. eBA is the flagship product of Bimser International. eBA for SAP gives you a flexible, easy to use and implement platform that will automate your document-intensive processes and solve all your workflow archiving and content management challenges. The solution provides out-of-the-box or flexible solutions for Document Management, Workflow, Content Management, and Records Management. Find further information on Bimser products here.